Many non profits track their performance by metrics such as dollars raised, membership growth, number of visitors, people served, and overhead costs. These metrics are important, but they don't measure the real success of an organization in achieving its mission. In this session, "Measuring What Matters," we'll discuss measuring effectiveness through three different lenses. We'll start by looking at work that Guidestar, Charity Navigator, and BoardSource are doing to create internal and external benchmarks to measure programmatic and fundraising success. We'll also hear what funders look for when weighing the ROI of their charitable investments. 4) To explore what matters most to funders in determining the best ROI for their contributions to organizations. Barbara O’Reilly, CFRE, has twenty-five years of annual fund, major gifts, and campaign fundraising experience at major non-profit organizations including Harvard University, the National Trust for Historic Preservation, Oxford University in England, and the American Red Cross. Whether it was leading record-setting reunion classes, securing tens of millions of dollars from global corporations following some of the most devastating natural disasters around the world, or overseeing a team that grew donor engagement of major individual donors committed to historic preservation, Barbara understands that fundraising is much more than just raising money. It’s about enabling donors to realize their philanthropic dreams for issues that are most important to them and to be part of the change they want to see in the world. She received her BA in English from Barnard College/Columbia University and her ALM in Celtic Studies from Harvard University. 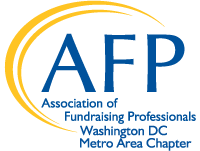 Barbara became a Certified Fundraising Executive (CFRE) in 2015. She serves as a member of the Board of Directors of the Association of Fundraising Professionals (AFP) DC Chapter as President-elect and as a member of the Advisory Panel for Rogare, The Fundraising Think Tank of the Centre for Sustainable Philanthropy at Plymouth University. Barbara is also a frequent presenter at the Foundation Center (DC), the Center for Nonprofit Advancement, Catalogue for Philanthropy, and on various webinars hosted by Network for Good, Bloomerang, and the Foundation Center. 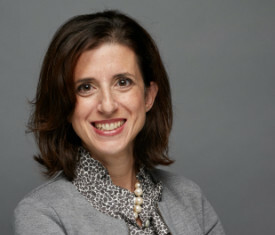 She became an AFP Master Trainer in 2018. Isaac is the Director of Outcomes, Assessment, and Learning at Venture Philanthropy Partners (VPP). He has over 20 years of performance management, evaluation, and outcome measurement experience. His areas of interest and expertise include youth development, juvenile justice, academic achievement, healthy behaviors and decision making, and employment. Isaac currently manages and oversees VPP’s approaches and processes related to data collection, data reporting, and outcome measurement. He evaluates VPP’s investments in collective impact initiatives and high-performing nonprofits which are designed to improve youth outcomes. Isaac also provides evaluation capacity building technical assistance to each of VPP’s investment partners. This includes helping organizations improve their data collection capacity, developing a performance management culture, assisting with evaluation designs, and helping organizations think strategically about using evaluation findings. Prior to coming to VPP, Isaac served as the Deputy Director for the DC Promise Neighborhood Initiative (DCPNI) and as a Senior Research Scientist at Child Trends where he worked with nonprofits throughout the United States on the development and modification of performance management systems and evaluation designs. In addition, Isaac was also the Director of Learning and Evaluation for the Latin American Youth Center (LAYC) where he led the organization’s evaluation and performance management work. Gabe is the Senior Director of Marketing and Communications for GuideStar, the world’s largest hub of information about nonprofit organizations. In this capacity, Gabe leads a team responsible for telling GuideStar’s story; advancing its vision; sustaining awareness of its mission; increasing adoption of its programs; and widening its visibility with key stakeholder audiences. 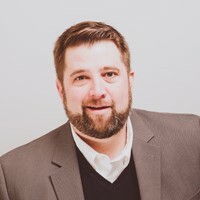 He oversees strategy and implementation of all GuideStar brand activities including marketing collateral, webinars, email, social media, blog, content creation, earned media, and digital resources. 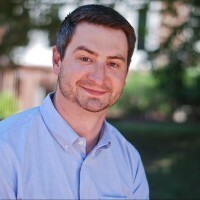 Gabe is the project lead for major GuideStar initiatives including the Overhead Myth, GuideStar for Grant Applications, and encouraging nonprofits to update their GuideStar Nonprofit Profiles. He brings a diverse and creative background to GuideStar’s Marketing and Communications team, graduating with a degree in architecture from Virginia Tech.